"If You Can Copy And Paste, Then You Have What It Takes To Quickly And Easily Master Metastock And Identify Profitable Trading Opportunities— Once You Know My Secrets." 95% of all MetaStock owners have wasted their investment, & no matter what you trade, you too could be missing out on big profits! If you're like most people, even though you've invested in this powerful charting package, you probably don't use MetaStock formula to its full potential. Granted, almost anybody can open a chart and plot some indicators, but for too many this is the extent of their proficiency. Sounds crazy doesn't it? I think so too. It's amazing but most people don't even know the full power within MetaStock. It’s not your fault though… the MetaStock manual just doesn’t cut it and if you’re like me you probably learn best when someone can show you step-by-step what to do. And, that's why I set up this website. Discover how to use MetaStock formula to profit in any economic climate! Bear markets. Bad economies. Recessions. Simply enter your details below and receive dozens of useful Metastock insights, ideas & tips free. I hope you enjoy the site and if you have any questions just click here to shoot me an email. I am here to help. MetaStock Pro, Professional Trader, Author & Coach. Ps. The first thing you need you should do is sign up to my newsletter (see above). "In my opinion it's one of the most intereting sites I have seen in my career." "Your emails have opened me to many ideas that I had not explored. I am truly grateful! Through your wonderful Aussie generosity I have found several bits of software that (with the help of your training) have given me the “unfair advantage” that I have sought." "Thanks again. These days the first thing I do when I get home from work is check for your emails/links." "David is genuinely eager to help. The few times that I corresponded with him he answered eager to help with any problems." Click Here to see David's rave reviews. Metastock® Professional is a registered trademark of Equis International. This website, and the activities conducted via this website are in no way related to, authorised, sponsored or approved by, Equis International. Our MetaStock tutorial is guaranteed to teach you everything you will ever need to know about MetaStock, And MetaStock formula. Metastock Newsletter | FREE Sign up! Receive dozens of useful MetaStock formula insights, tips and tricks from our email MetaStock newsletter. The MetaStock Formula Index is the largest source of MetaStock Formulas Online and they're FREE! Download MetaStock Indicators, Explorers And Systems. Who Else Wants To Discover My Biggest MetaStock Breakthrough And Gain Access To My Private Collection Of 1086 Profit Making MetaStock Formulas? Crawl into the profitable mind of David Jenyns'. Watch live videos as David reveals his unique MetaStock and wealth creation strategies. Is TradeSim by Compuvision worth the investment? Find out if your trading system is making money using TradeSim and MetaStock. Visit the best of the best MetaStock links ans sites with our collection of the most useful Metastock links on the web. Sure I could tell you about the hundreds of traders I've help around the world (just like you) but I feel it's much more powerful to let them tell you themselves. Who is David Jenyns? 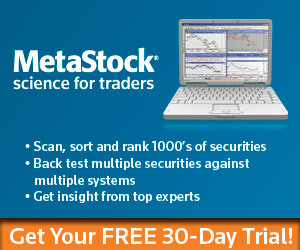 The MetaStock Pro and mechanical trading system design expert. Learn a little more about David and how he can best help you. Do you have a MetaStock question, or wish to contact us for any reason, we're always happy to help.